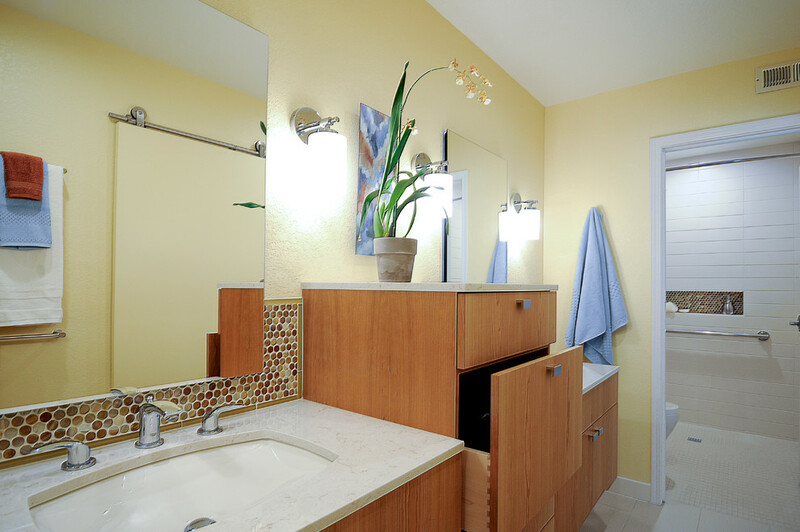 This Rancho Bernardo couple required separate wall mount vanities that could be modified in the future to provide wheelchair access underneath. The medicine cabinet was recessed to offer more storage space. Mirrors are on inside and outside of the cabinet doors. 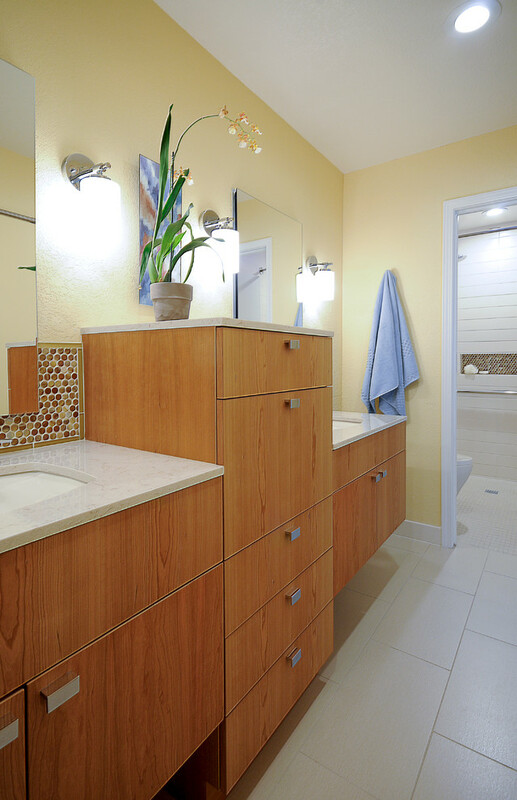 The tall center storage cabinet and vanities are in Natural Cherry with Silestone countertops, and an under mount sink. 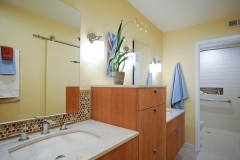 Towel holders were placed on the each side of the vanities for easy access. 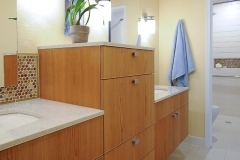 The center storage cabinet drawers are of different heights to provide storage for both tall and short items. 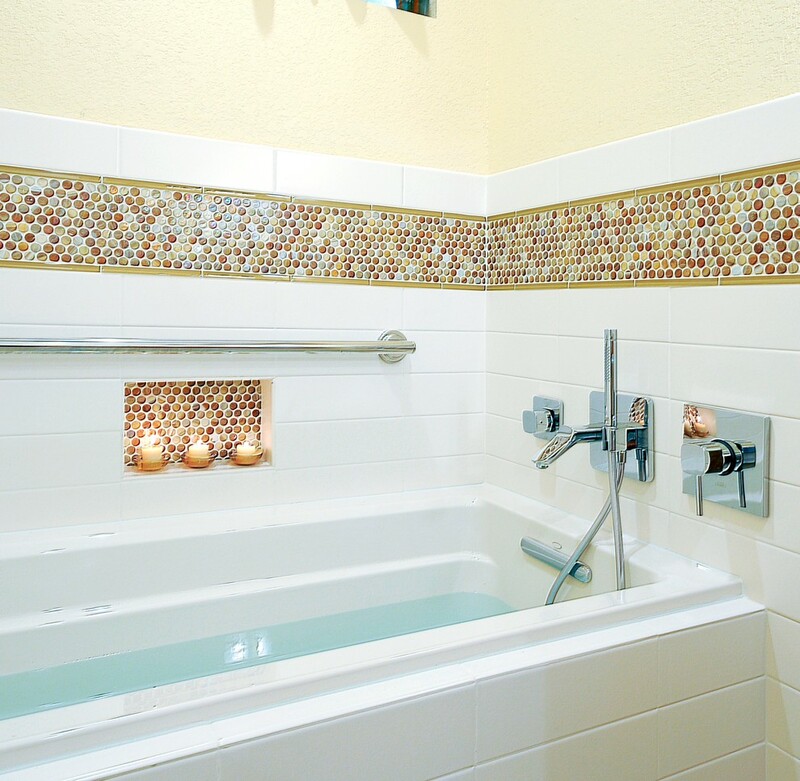 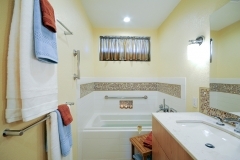 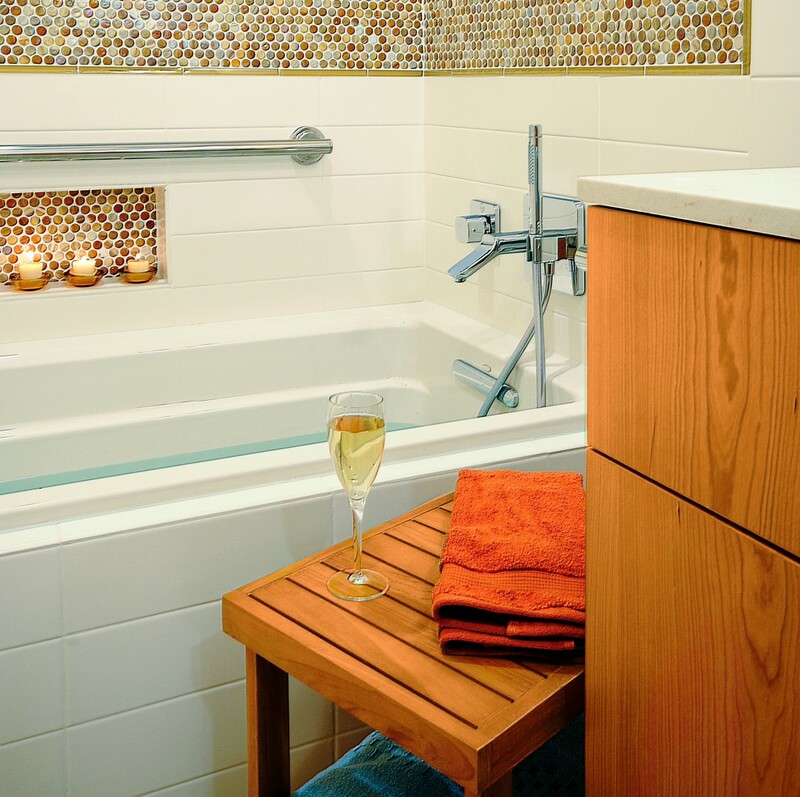 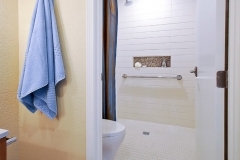 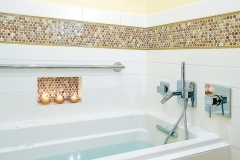 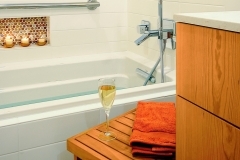 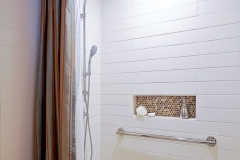 In the vanity area, 12×24” Ceramic Floor tile is radiant heated. 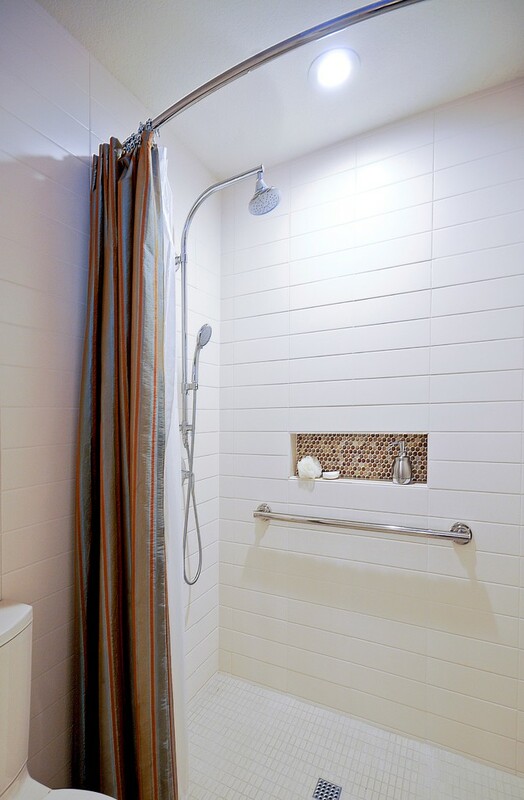 Both recessed and sconce lights are on dimmers to allow a range of brightness for different visual abilities. 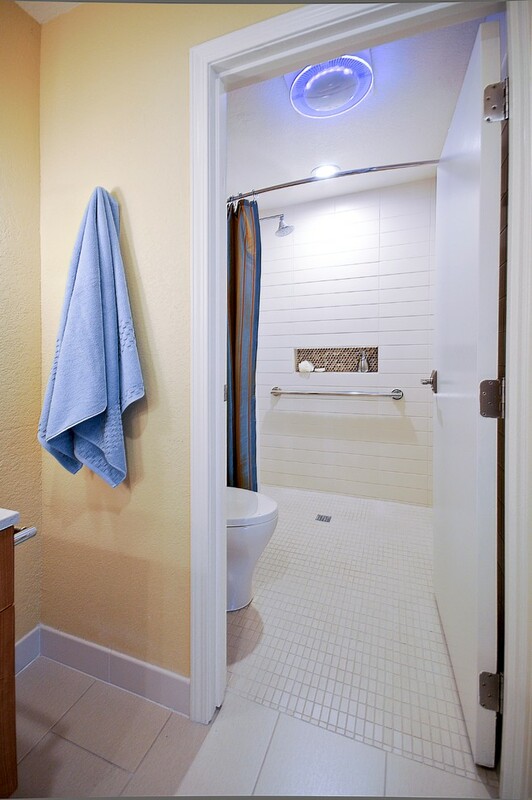 Doorways are all 36” for full wheelchair accessibility with lever handles. 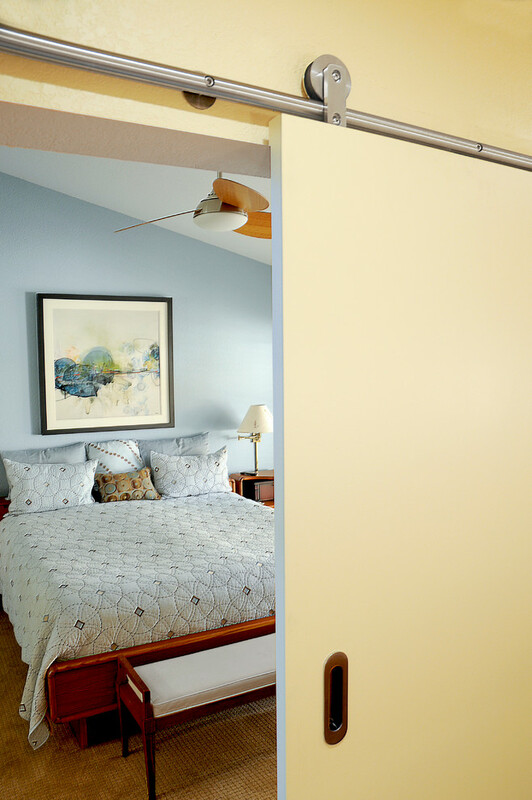 36” Barn Door (also called sliding door ), with exposed brushed stainless steel wheel track and oval flush pull provided an easy-glide doorway from the couple’s bedroom into the master bath.